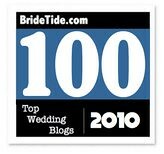 Looking for a holiday gift for newlyweds or a soon-to-be-married pair? Skip the one-size-fits-all approach this year, and check out these creative and personal, hand-picked gifts that are perfect for any couple. 1. 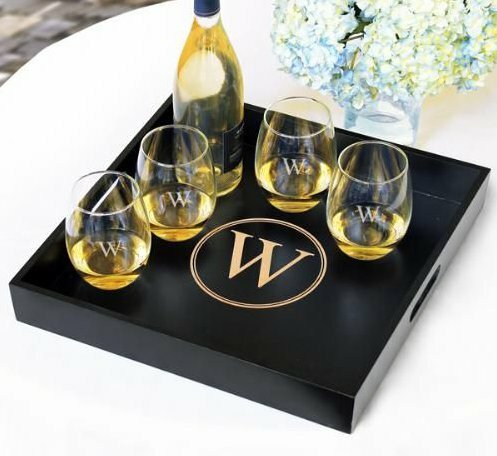 Personalized 16″ Wooden Serving Tray ($47.95). This sleek, polished black wooden serving tray is great for serving hors d’oeuvres while entertaining or keeping barware or other household items organized. Customize it with the couple’s last name initial at no extra charge. 2. 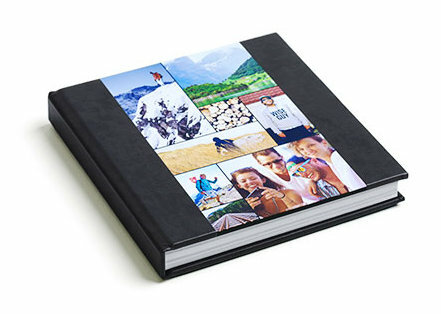 Montage Custom Photo Book ($39 and up). This simple-to-use photo book service lets couples create a custom wedding album crafted from high-quality materials. In as little as 15 minutes, an auto-layout tool designs these striking albums, which include up to 180 photos on 70 lay-flat pages. Photo books available in three sizes. 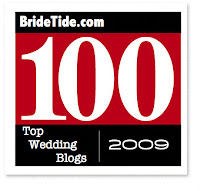 GroomsAdvice readers automatically receive free shipping at checkout by clicking here. 3. Eat, Drink and Be Married Personalized Cutting Board ($45). 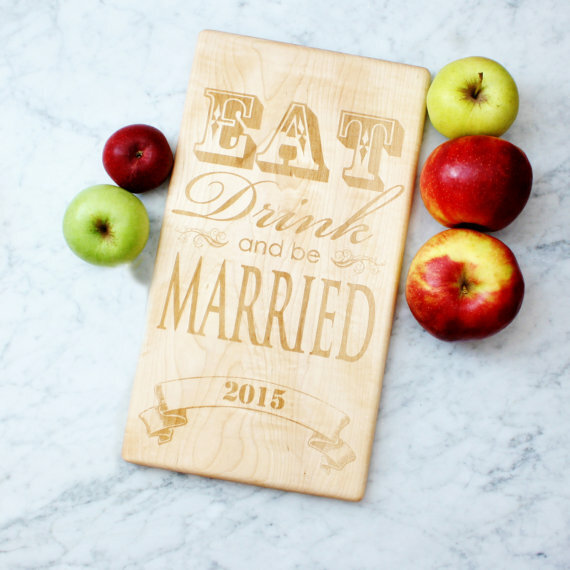 Made from locally-sourced maple, this handmade, 16×9 cutting board is engraved with “Eat Drink and Be Married” and personalized with the couple’s wedding year. The engraved side is perfect for display, while the functional reverse side can be used for cutting and chopping. 4. Personalized Our Song Throw Pillow Cover ($36). This 100 percent cotton, personalized retro-themed “our song” throw pillow makes a great keepsake of the couple’s wedding song. 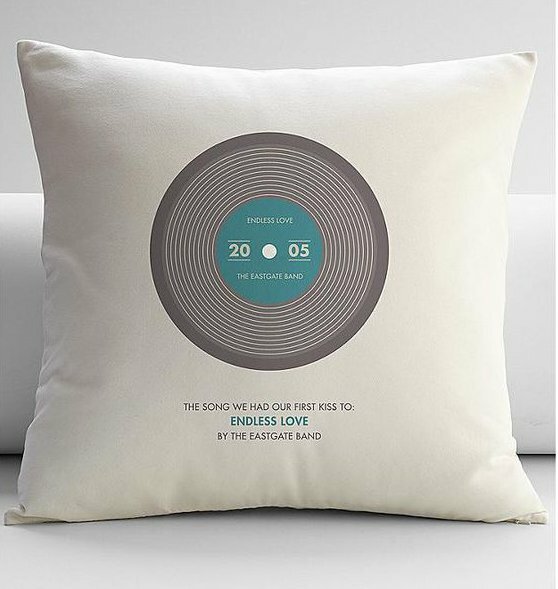 Available in three sizes and two designs (record or cassette tape), the pillow can be personalized with a year, couple’s names, song name and artist. 5. Home State Throw Blanket ($41.95). 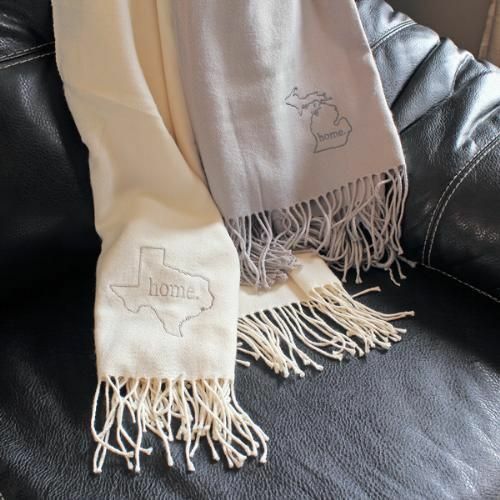 The perfect accessory for chilly winter nights, this cozy throw sports the outline of their home state and the word “home.” Available in cream or gray. Which of these gifts would be perfect for the couples on your holiday list? Tell us in the comment section below. This entry was posted on Tuesday, December 2nd, 2014 at 10:13 pm	and is filed under Gifting 101. You can follow any responses to this entry through the RSS 2.0 feed. You can leave a response, or trackback from your own site.